PLANO, Texas, Dec. 14, 2017 /PRNewswire/ — When it comes to true loyalty – whether for your favorite pizza or favorite sports team – straddling the line is not an option. Nor is straddling the [state] line in the debate of which city and state reigns supreme for volleyball: Kansas City, Kansas or Kansas City, Missouri. Pizza Hut, the Official Pizza of the NCAA, will settle the score once and for all this week with the first event in its Rivalry Challenge: the State Line Showdown – pitting youth volleyball teams featuring former University of Missouri volleyball star Molly Kreklow against former Kansas State University star Caitlyn Donahue – in a match on the Missouri–Kansas state line ahead of the NCAA DI Women’s Volleyball Championship in Kansas City, Missouri. 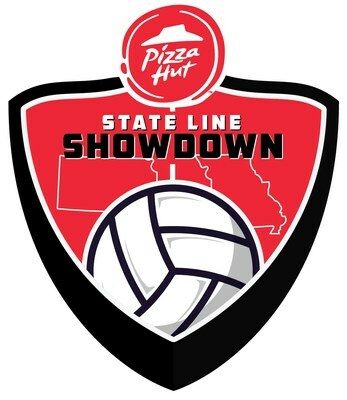 The Pizza Hut State Line Showdown will take place at the Parkville Athletic Complex at 6014 MO-9 in Parkville, Missouri at 7 p.m. on Dec. 15, 2017. The event will be played under standard USA Volleyball rules, with Kreklow alongside Missouri’s Club North Volleyball team and Donahue with Kansas-based Dynasty Volleyball Club. In addition to the State Line Showdown, Kreklow and Donahue will take part in fan events throughout the tournament weekend, as will Jason Zone Fisher, returning as the Pizza Hut All-American.